Cloxxki wrote: Einar, how are the tips of your skis shaped? 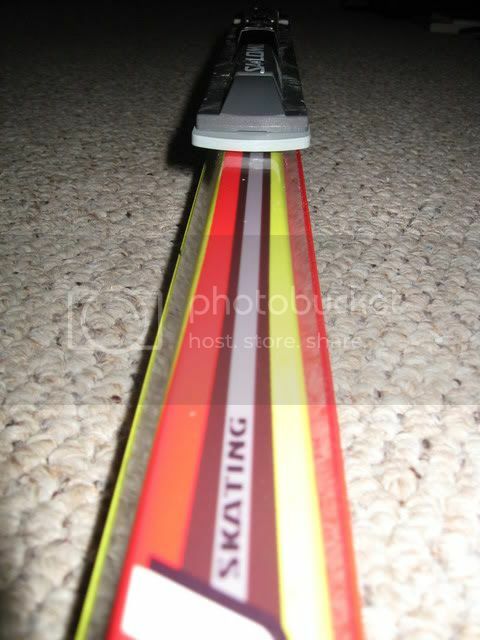 Ther are no radical differences other maker's skate skis, the tips are relatively blunt and low. I highly recommend them. Chris Ransom (fast Master Blaster from the upper midwest) has indeed raced on them. I ski on the Trabs. AeroRace, skate and classic, single groove. Normal tips like a Fischer. I got them from Chicago Joe, and we worked together with several pairs to get the correct fit for me. I think a huge part of ski performance is fit. These skis both seem to fit me very well. I usually wax up a small assortment of skis, typically colder, medium, warmer (per forecast). Often times my Trabs have tested faster before the race, so I go with them and enjoy the stable ride. I have had some of my best races on the Trabs. I have noticed that the conditions for which I tend to select them, it's generally warmer. Sometimes it's warmer & slushy, but sometimes it's warmer & setup hard. I can't work out why the same ski does well for me in the two very different conditions, but why fight it. 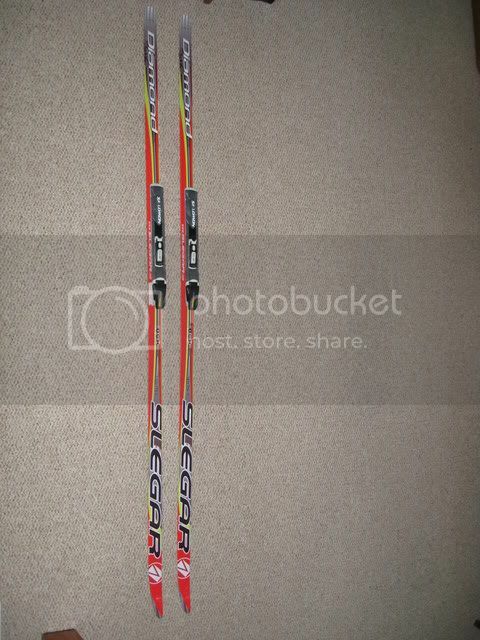 My other skis include Salomons (medium), old Fischer straightcuts (cold pair), I just sold a pair of Fischer skatecuts (too soft for me yet so fast). I have a pair of Atomics on the way. I can't see that the Trabs have caught on in the US, but the reason is a mystery to me; many skiers seem to be reluctant to try them I guess. It's a tremendous value for a ski that seems to be as fast as any other to say the least. Perhaps they've been priced too affordably and skiers perceive less value? Ok...heard of or seen these before? Not sure of the status of the company right now, seems the website is not updated recently. Did try emailing the company, but no luck with that. I also have a pair of the entry level Zephyr's, 178's, not as light but same shape. Also a pair of the Diamond five's, 190's, just as light and with elastomer inserts in the base on the front end, suposed to promote snow crystal fusion to improve lubrication and improve glide. 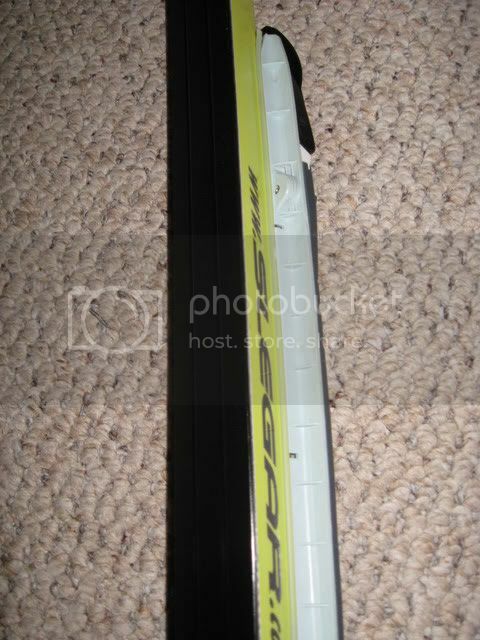 To soft for me though, and hence I got the skis above with a stiffer flex and they work great. Not sure how or where to get them now, Joe may have a few pair left and I'm looking to part ways with my softer Diamond five's. I personally love trying out new/different stuff, and have skied on just about every brand of ski. On the high end, all the regular brands are pretty comparable - usually just a matter of personal preference of the feel, or what kind of deal you can find. Last edited by snowhunter on Sat Jan 19, 2008 1:18 am, edited 1 time in total. Gets you to link to pics, and they tend to stay up quite a while. A smaller forum like this won't kill your allowed bandwidth too quick. Thanks for the tip Cloxxki, should be there now. Works pretty slick! snowhunter wrote: Thanks for the tip Cloxxki, should be there now. Works pretty slick! You're very welcome. Thanks for posting those pics. I've gotten close to getting Slegars on eBay. I'm a sucker underdogs. Good to hear they bring it for you, rewarding your gut to differ in ski choice. Either ther are many way to go about building as-fast-as-it-gets skis, or there's room for improvement by combining different brands' features. I just got off the phone with Joe Gollinger (i.e. Chicago Joe, Trab guy) to get the status of Ski Trabs and other stuff, based on the discussion that was happening regarding the Trabs. You wont see info or pricing on the skis, but send him an email at the contact link, or call him at the phone number listed on the Go Faster Section on the website if you are interested. MN Hoser wrote: It's really tough to break into the xc skiing market since it's sooo conservative. Ski Trab had a big impact on the Alpine Touring ski market in recent years. To me it seemed like they came out of nowhere, and then lots of European steep-high-mountain ski tourers had them. I can think of another established highly-regarded second-tier mfgr (who made my favorite AT skis) that had to go out of business during the same time.